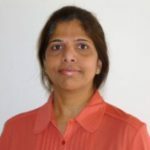 Meera Rao (Subbarao) is a senior principal consultant and the director of the secure development practice. She has over 20 years of experience in software development organizations in a variety of roles including Architect, Lead Developer, Project Manager, and Security Architect. Meera has overseen and performed secure code reviews, static analysis implementations, architectural risk analyses, secure design reviews, and threat modeling of systems built from a few thousand lines of code to systems containing tens of millions of lines of code. She has developed multiple Synopsys training courses and is a certified instructor in architectural risk analysis, threat modeling, and more. Integrating SAST tools into the DevSecOps pipeline is critical to building a sustainable program, but it’s also important to automate them to drive efficiency, consistency, and early detection. What better way to celebrate International Women’s Day than by reading about the women of Synopsys who are achieving great success?